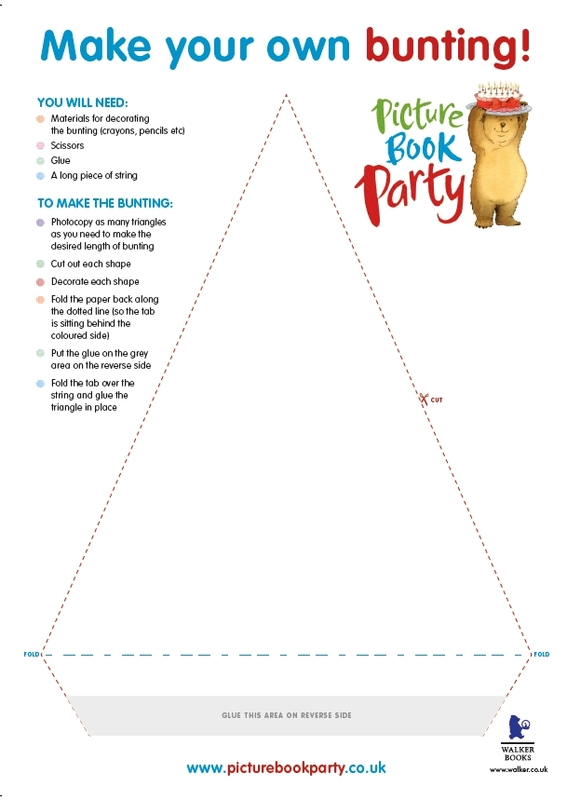 Picture Book Party: 5 parties, 5 books, 5 blogs, 5 days! 5 parties, 5 books, 5 blogs, 5 days! Over the next 5 days, join us for a marathon of parties as we take the Picture Book Party on tour across 5 fantastic blogs! Each blogger will be holding their very own party complete with balloons, bunting, and of course lots of lovely books! 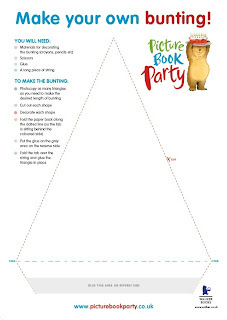 So join in the fun and pick up some ideas for your own summer party - to get you started, you can get creative with the kids and design your own bunting by downloading this template. The blog tour kicks off today with Playing by the Book, with delicious Silver Button biscuits, Peck Peck Peck jelly beans, turkish delight treasure treats and a good old romp with Romping Monsters, Stomping Monsters!